Lock in a great price for Albergo Nazionale - rated 8.7 by recent guests. Good location, very hospitable staff, fast check in and check out. Good restaurant in the hotel. The location was perfect; just off the harbour front and a very good breakfast was served in the restaurant on the Harbour square. The staff were all very friendly and helpful. The air conditioning in the room was good and very quiet. An old traditional hotel with lots of character - excellent. The hotel in Porta Fino was OK, just a pity it was situated in one of the most expensive, overrated, dull and crowded locations. Perfect location, very pretty room. Breakfast right in Portofino bay. The hotel was ok,obviously we paid about the location.It is in the centre of Portofino. We expected the hotel to be much worst,but we found it much better than we expected,but it still doesnt worth the money we paid. The shower was perfect,my boyfriend and I loved it. Staff was helpful. One of the only hotels to be located directly on Portofino’s pretty little harbour, Albergo Nazionale offers lovely views and great service as well as spacious, comfortable rooms. 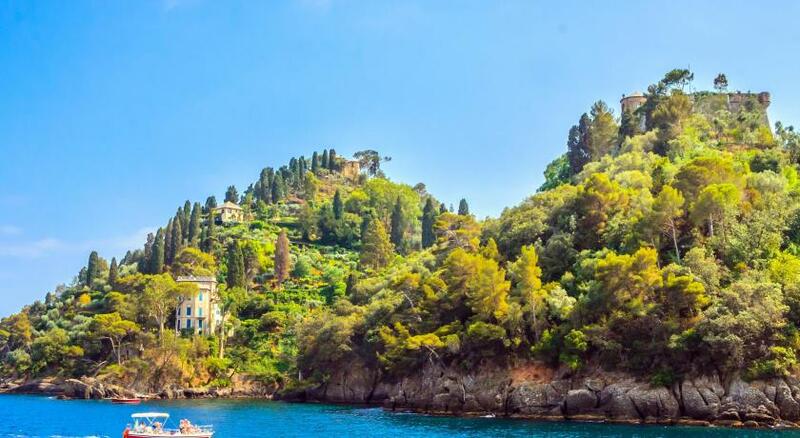 Hotel Nazionale is situated in the heart of Portofino and has been in the family for nearly one hundred years. Enjoy friendly but professional service and modern amenities such as free Wi-Fi access. Many of the Nazionale’s rooms have their own lounge areas. Enjoy a delicious pizza at the Nazionale’s own pizzeria. There are also many other restaurants and cafés located on the square. Albergo Nazionale has been welcoming Booking.com guests since 19 Dec 2009. When would you like to stay at Albergo Nazionale? Air-conditioned room with TV and private bathroom. Air-conditioned junior suite with TV and private bathroom. Overlooks the sea. House rules Albergo Nazionale takes special requests - add in the next step! ATM card Bankcard Albergo Nazionale accepts these cards and reserves the right to temporarily hold an amount prior to arrival. Albergo Nazionale accepts these cards and reserves the right to temporarily hold an amount prior to arrival. Not a dislike, but our room had the bed up some stairs which might not be good for some. The location was excellent, scenic and so convenient. The staff from front desk to restaurant was courteous and always helpful. The location is perfect! It’s hard go get any better location than that. The hotel room is simple but has everything you need. Our room had a terrace. The breakfast they serve could be better but I do have to add that the fresh coffee is great and the view of the restaurant were the breakfast is served is perfect. Difficult to reach toilet paper, very scratchy towels, hard to find necessary outlets, lift would have been helpful. (Pictures and TV all hung about 12” too high throughout.). A map would have been helpful to find on website. Comfortable bed, good shower, convenient to dock and restaurants. Room was very basic for the cost. Breakfast was very basic and didn't change. It would have been nice to have more variety. That we had to leave it! Perfect location and staff. You won’t find a better price for the location. Truly amazing. Poor breakfast! No eggs, poor choise of cheese, ham. No fruits. Maybe some hot items e.g. eggs and sausages for breakfast would be nice. A change in the breakfast menu for guests staying more than 2 days would be nice too. Too many flies in the breakfast area. Property is a bit old and needs more renovation.